Consultative selling is a sales technique requiring a deeper understanding of not only a customer’s need but also the industry they operate in. If you are a real expert in their industry, this will allow you to first provide value-added advice, then later, sell your own products or services if appropriate. Today’s customers are often 70% of the way down their buying journey before they feel the need to speak with a salesperson. This shift in customer behavior has made it difficult for salespeople to develop customer relationships. You can make this easier on yourself, however, by tracking your relationships with Pipedrive CRM. With Pipedrive you can keep detailed notes on each contact, set reminders of when to follow up, and manage your sales pipeline on the go with their intuitive mobile app. Start a free trial today. Consultative selling replaces the hard edge of product selling with a more powerful and flexible approach that is customized to each customer’s real needs. Introduction Salesperson receives contact form and calls them back immediately. Salesperson receives contact form, looks them up on LinkedIn, researches their company history, then calls back. Qualification Salesperson asks a few basic questions about their business, then immediately begins matching them up with the best-fitting product. Salesperson asks broader questions about their pain points and listens intently. Closing Once they show interest in a particular service package, salesperson aims to close the deal as quickly as possible. Once salesperson has a thorough understanding, they recommend the wisest possible solution— even if it doesn’t result in a sale. Both methods have their pros and cons. Transactional selling is often faster, and doesn’t require as much expertise on the salesperson’s end. Consultative selling takes more effort, but it often results in stronger client relationships. This, in turn, provides more repeat-sales and referrals — even if you don’t sell right away. Before Google search became the default solution to problem solving, salespeople were relied on to introduce customers to products and services they needed. Now, customers research online and form a fairly well-defined view of the solution before they even speak to someone in sales. In this sense, most customer’s sales journeys have been shortened, and in some cases, completely erased. 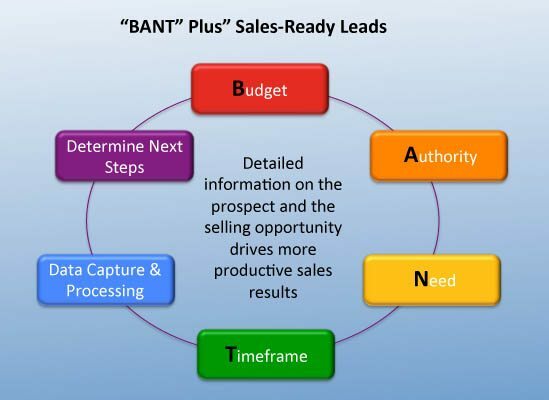 While you you may think this has diminished the need for consultative selling, in fact the opposite is true. The most effective way to build trust with a customer is to start doing what Google search cannot do: Position yourself as an expert, then provide personalized advice that encourages a purchasing decision. Most prospective customers do not have time to answer a long series of questions from a stranger. Finding out as much information as possible ahead of time will help you increase your chances of establishing credibility early, and avoid taking up more of the prospect’s time than needed. These days, it’s amazing how much you can learn about your prospects online. Start by taking a look at their website and also use platforms like LinkedIn to help you understand the individuals, as well as the businesses they work in. A good way to break the ice with a prospect is to find something that you have in common. For instance, on LinkedIn you can review your contact’s career history and connections to see if you have both been involved in the same business or know people in common. 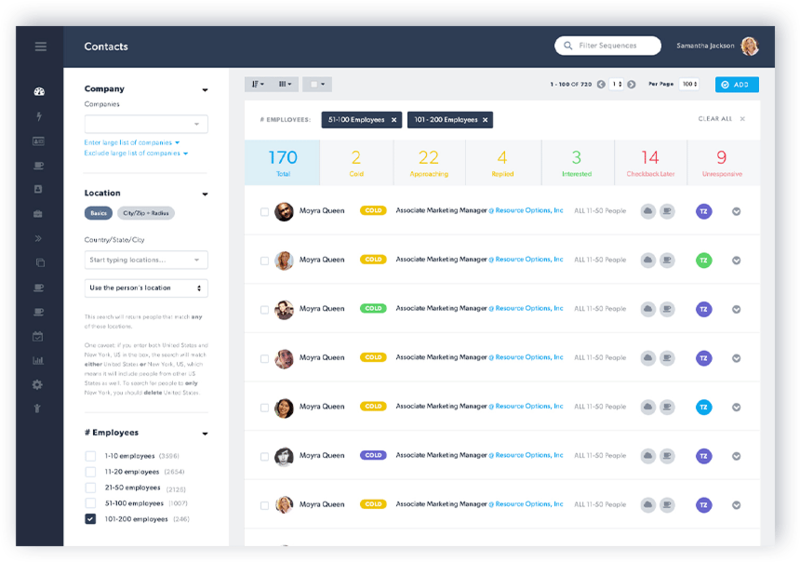 There are also a new range of sales intelligence and lead generation tools like DiscoverOrg and Zen Prospect that will help you to gain privileged insight that is not commonly available via other tools. For example, in DiscoverOrg, you are provided with detailed organizational charts. You also get actionable intelligence, for instance, real-time alerts to notify you of leadership changes, hiring plans, purchase initiatives. In Zen Prospect, you can also set up alerts to be notified in your email inbox when prospects have a new job posting, post a new blog article or complete a new round of funding. Part of your research is for lead qualification purposes. You need to be able to establish whether your prospective customer has a real need for your solution, plus the authority and the budget to pay for it. To help with this, you may also want to use a company profiling site like DueDil to understand what sort of financial shape your prospect’s business is in. Is your prospect showing solid growth and can it afford to buy the products and services you are selling? You also need to understand what other solutions your prospective customer may be considering, and be ready to explain why your solution is a better option because of their specific needs and circumstances. Fill out a competitor analysis template regularly to ensure you have this information handy. Proper research means becoming an expert in the buyer’s business. It means anticipating all the likely questions your prospective customer may ask. Does the business you are targeting have the Budget in place for what you are selling? Are they going to make a purchase at the current Time or in the near future? Desk research will only get you so far, you really need to speak with a decision-maker with budget authority to fully understand their potential needs. Asking questions may sound easy, but you would be amazed at how many salespeople struggle with this. This is because their first instinct is often to try and impress and start selling, rather than ask questions. Show genuine interest and build a real relationship based in trust. Having done your research at Step 1 properly will make it much easier for you to present yourself credibly as an expert from the start. In my opinion, the most critical questions to get clear answers on relate to your understanding of your prospect’s business context and why specifically they are looking for a solution like yours. It makes sense to start by asking basic and general questions and then to get more specific as you ask follow-up questions. This will reassure your prospect that you have purpose. Listening is something we all try to do well. But active listening is a real skill that you have to learn. To become an active listener you need to be able to interpret what is being said and read between the lines to understand also what is not being said and why. Remove distractions: If you are calling by phone then make sure there is no background noise to distract you or your prospect. Take notes and record the call: I take notes when I’m active listening as it helps me to focus on what I’m listening to and it also reassures your prospect that you value what they are sharing if you meet via video conference or face-to-face. 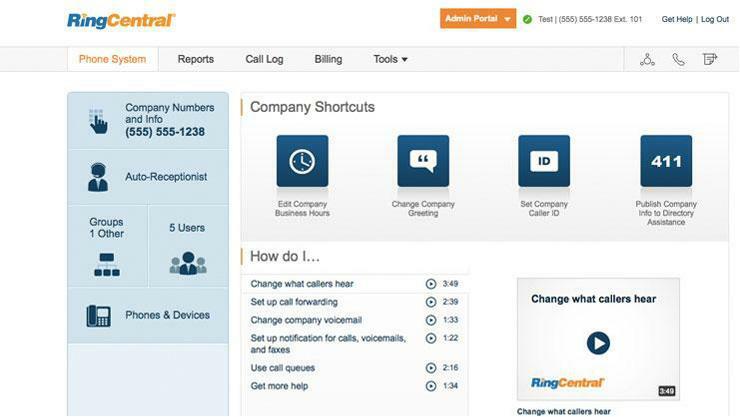 I also highly recommend using a call recording platform like RingCentral, which integrates with CRM like Pipedrive. I am still amazed at how much more you pick-up that you did not hear the first time when you play back an important call after it’s complete. Don’t interrupt: As tempting as it may be to interrupt when it’s clear that your prospect has a burning need for your solution, get comfortable with gathering a complete understanding before you feel the need to respond. A great way to ensure you do not interrupt is to pause for a moment before responding when your prospect stops talking. This is particularly useful over the phone when you cannot see them or read their body language. Commit your full attention: Don’t allow yourself to be distracted by anything else. This is the most crucial part of the sale, with the right information base, you will be able to close the deal successfully. Ask open-ended questions: Your objective is to get your prospect to open up and share their problems with you, so ask questions that will get them talking and not closed questions that they can simply answer with a yes or a no. If you are an expert at active listening, you will know how this transforms people’s perception of you when you first meet. Trends in your customer’s industry: for example, your customer’s may all be faced with the threat of rising labour costs, the challenge of keeping up with the pace of new technology or the need to be able to prove a business-case and measure ROI. Common needs or pain points: another way to say this is that you should be aware of what is likely to be making your customers loss sleep at night. For example, is you customer worrying about how to respond quicker or finding ways to stand out from their competitors? These days there is no excuse for not being able to develop this knowledge as its all available (mostly for free) via Google Search. You should also be prepared to explain how your solution compares with other options available to your prospect. As with any sales methodology, follow-up is crucial. You are very unlikely to close a deal on the first try. The higher the value of the deal, the longer the customer may need to deliberate before making a final decision. There might be a lot of internal processes to navigate before they formally close the deal with you. However, if you are positioned credibly, and following up with your customer, you should be able to advise them on how best to navigate many of these hurdles. The key is to stay in touch and top of mind. Always be thinking about follow-through, whether you do that by sending them helpful content via email, touching base over the phone, or inviting them to industry events so that you can spend more time with them and get to know them better. This allows your prospect to open up to you if their priorities have changed or something internal has got in the way of making a decision. Moving from a transactional to a consultative selling approach is a great way to combat the fact that most B2B customers use the internet to complete the first 70% of their buying journey. This is because consultative selling allows the salesperson to demonstrate their expertise and offer personalized advice — things a Google Search cannot do. If you’re worried about the time or effort involved in consultative sales, remember there’s a wide range of tools out there designed specifically to make this easier. You can research prospects with LinkedIn, or Zen Prospect, schedule follow-up and save client notes in Pipedrive, or utilize many other sales enablement tools.